Update August 4, 2017: OverclockersUK have suggested they will probably use a voucher code system for the sales of their AMD Vega graphics cards, as well as a one piece per customer limit. If you use your GPU for gaming, instead of boring number-crunching, you’re going to need a good screen to pair it with. These are our picks of the best gaming monitor around. We spoke to Overclockers’ Gibbo today and he explained that the plan they’re expecting to put into place, for the August 14 launch of the AMD RX Vega GPUs, will consist of an artificially high £1,000+ price tag, with a voucher code they’re only posting on their gamers’ forum to halve the price. Those extra hoops for customers to jump through, combined with the one card per person limit, ought to ensure anyone looking to snaffle all the Vega GPUs for mining will look elsewhere. 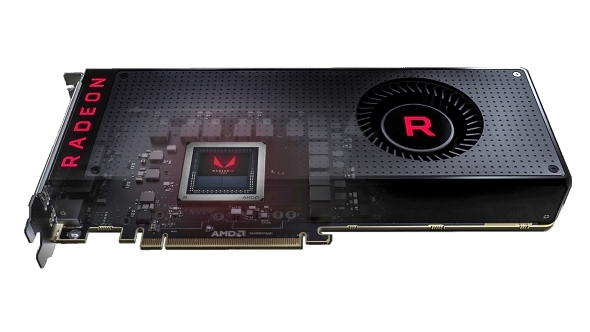 That will at least mean gamers in the UK will have somewhere to buy themselves one of AMD’s latest high-end GPUs. But will they want to? Until we get one into the test bench it’s hard to tell, but with the top-end card AMD RX Vega 64 barely competing with the GTX 1080 on gaming performance and losing out in the power stakes it’s a bit of a lottery. The RX Vega 56 though could be a much more interesting card, ever the way with AMD’s rule-of-two graphics silicon. It will apparently best a GTX 1070 for a fair chunk less cash. That could end up being the go-to graphics card of the year. Original story, August 4, 2017: OverclockersUK’s Gibbo has announced the expected hashing rates of the newAMD VegaGPUs on theOCUK forum, calling them “insanely good.” And now it’s going to be a case of whether any gamer is genuinely going to be able to buy one ahead of the miners before the prices go through the roof. Andrew ‘Gibbo’ Gibson is suggesting the hash rate for the Vega GPU is between 70 and 100MH/s. With the RX 580 hitting about 25MH/s, and the GTX 1080 Ti offering 32MH/s, those numbers will be getting the miners all moist in the unmentionables. And that could also mean stock gets hoovered up before any gamers can get near the cards. 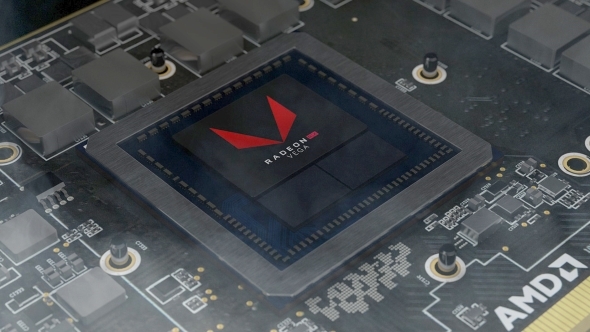 The source for the potential Vega hashing performance is reportedly an internal employee of one of AMD’s board manufacturers who has been doing some pre-release testing in-house. Scan Computers International put a hard limit in place on purchases of the GTX 1060 once the Polaris-based cards disappeared from the shelves, allowing only two per person to keep stock levels reasonable. It’s possible that will come into force across the board for the Vega launch if retailers want to keep things fair. This represents a marked difference from the hashing performance of the Frontier Edition when that launched, which is a little odd. The professional Vega card produced a hash rate of around 30MH/s, but the latest drivers are seemingly more than doubling that figure. 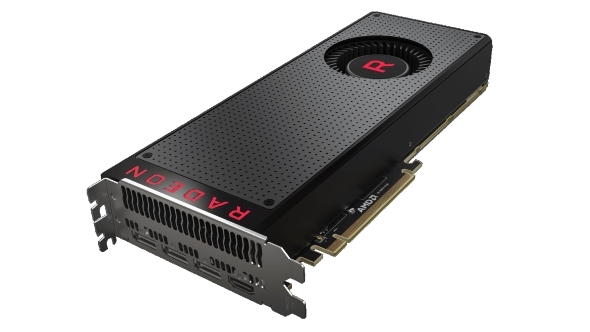 AMD have already said that they delayed the Vega launch so they could get enough stock in place to ensure there will be enough for both gamers and miners, which makes the slightly bizarre Radeon Pack ‘bundles’ make more sense. They might represent the only way for gamers to get their mitts on Vegas as miners aren’t going to need the discount vouchers for monitors, motherboards, or CPUs. And that would also mean gamers will essentially be charged a $100 premium for the privilege. The AMD RX Vega cards are launching on August 14, with partner cards following in September, from the likes of Asus with their STRIX RX Vega cards. Might be a case of waiting for the second wave of releases if you want to get in on the Vega action.